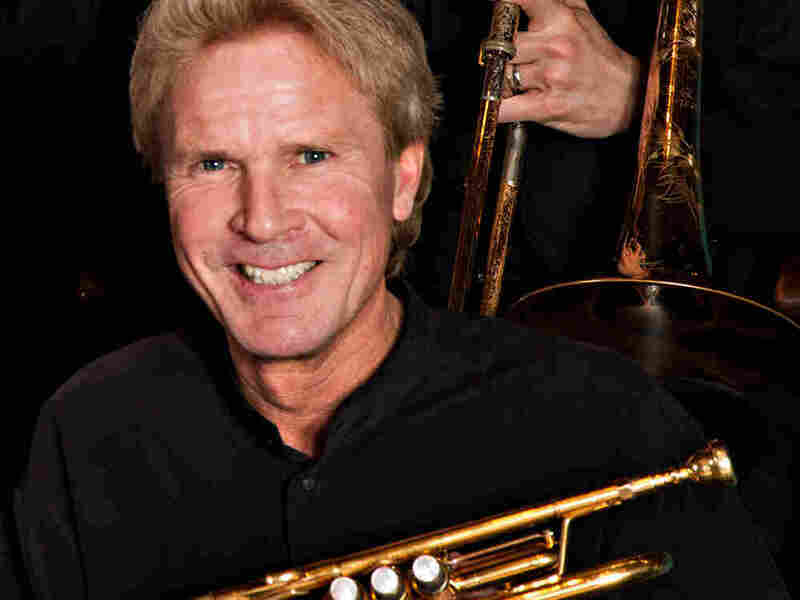 Dazzling Trumpeter Rolf Smedvig Dies Suddenly : Deceptive Cadence A founding member of the Empire Brass, the trumpeter played with a lustrous tone and extraordinary technique. At age 19, he was the youngest musician to join the Boston Symphony Orchestra. Trumpeter Rolf Smedvig, of the Empire Brass Quintet, was acclaimed for his lustrous tone and virtuosity. Trumpeter Rolf Smedvig, praised for his beautiful tone and virtuosic style, died Monday afternoon at his home in West Stockbridge, Mass. The cause of death, according to his long-time manager Mark Z. Alpert, was a heart attack. Smedvig was 62. Perhaps best known as one of the founding members of the widely acclaimed Empire Brass Quintet, Smedvig enjoyed a busy career as a soloist with major orchestras, including those in Boston, Chicago and Cincinnati. In 1973, the 19-year-old Smedvig was hired as assistant principal trumpet of the Boston Symphony by music director Seiji Ozawa. Smedvig, then the youngest member of the orchestra, moved up to principal trumpet in 1979. Smedvig, who described himself onstage as "a little immigrant boy from Norway and Iceland," was born in Seattle and made his debut with the Seattle Symphony at age 13. He later studied at Boston University and with famed trumpeter Maurice André. Smedvig was still a student at Tanglewood in 1971 when Leonard Bernstein chose him as a soloist in the world premiere of Mass, composed for the opening of the Kennedy Center for the Performing Arts in Washington. Smedvig was also active as a conductor, appearing as a guest with the Tonhalle Orchestra of Zurich in addition to other ensembles worldwide. He served as a decade as music director of the Williamsport Symphony in Pennsylvania. Fascinated by music education and the mechanics of the trumpet, Smedvig served as a clinician for Conn-Selmer, the corporate parent of the Bach brass instrument line. With dazzling technique, Smedvig exuded a confident swagger in his playing, leading Fanfare Magazine to describe his performances as "as absolutely spectacular with hair-trigger control and high-wire acrobatics aplenty." The trumpeter was not without his critics. He incited accusations of sexism after a 1991 incident in which he questioned the performance of three young women in a Boston University masterclass on the basis of their gender. "You came out there and it looked like you had your doily dress on and you were going to tiptoe through the tulips, you know, and play this," the Boston Globe quoted Smedvig as saying. "You can't do that when you have a trumpet in your hands." He apologized in a public forum two weeks later, and eventually the French horn player of the Empire Brass was a woman, Michelle Perry. Smedvig, with the Empire Brass, was prolific in the recording studio with albums of music ranging from Gabrieli and Mozart to Broadway arrangements, Celtic and Christmas recordings. The group was also active on the road, touring in 35 countries and making television appearances on the Today Show and Mister Rogers' Neighborhood. Smedvig is survived by four children and his wife, also a musician.